Find Your Style in One of These 3 Holiday Looks | Havenly's Blog! The season for holiday decorating is quickly approaching, and we know our clients often feel boxed into very traditional decorations. 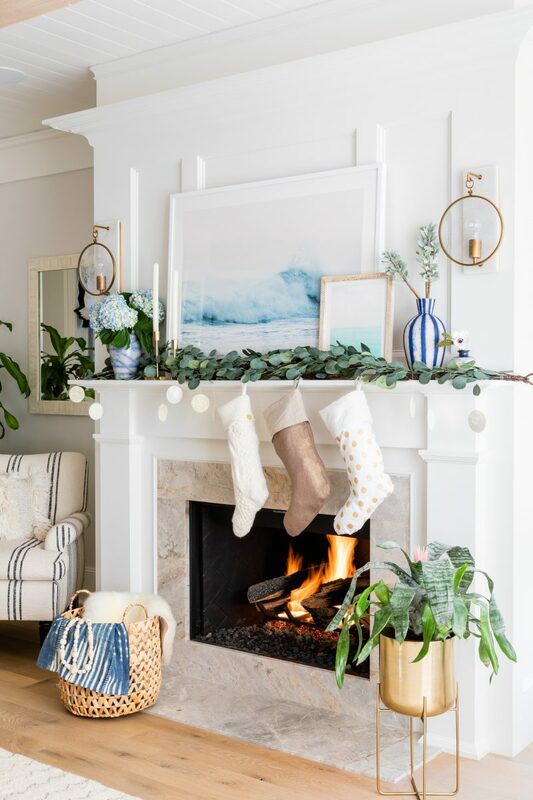 This year, we collaborated with Pottery Barn to design three holiday looks that cover a variety of styles. We even created a festive cocktail recipe to pair with each style. There’s something here for everyone! For anyone who loves summer more than anything else, this look brings warmth to the season with a modern, laid back aesthetic. If Cali Cool is your style, you probably love chambray, linens, and light knits. 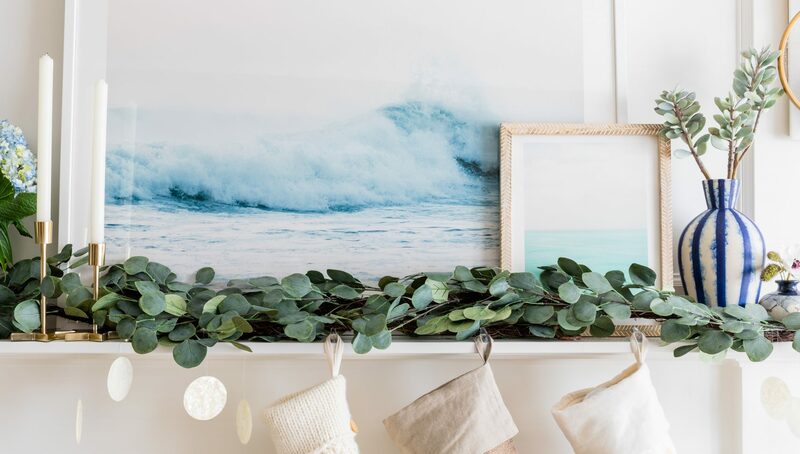 We picked out artwork, a garland, and beachy decor that keep the vibe light, while cozy textiles and textural baskets add substance to the look. Combine 4 oz. hard cider, 1½ oz. apple cider, ½ oz. rye whiskey, ¼ oz. Aperol, and ¼ oz. lemon juice into a rocks glass filled with ice. Top off with club soda. Gently stir to combine, then garnish with an apple slice and a tap of cinnamon. 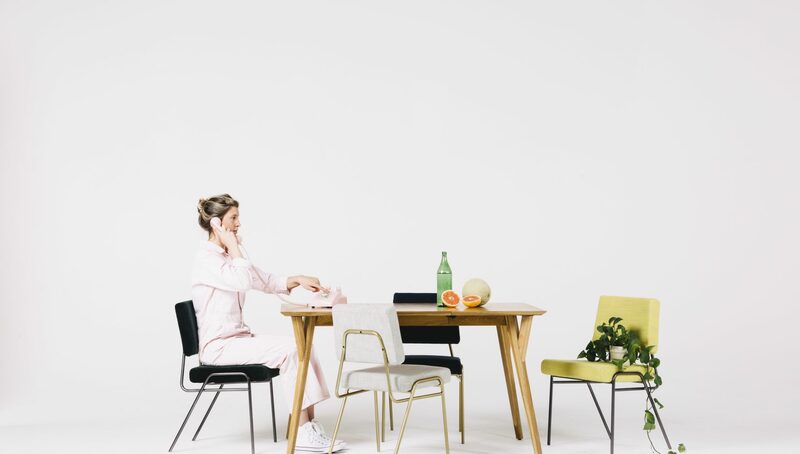 For anyone who is inspired by 70s color palettes and mid century design, this holiday look is full of warm tones, quirky accents, and organic materials. Textural moroccan floor pillows make a cozy spot to admire the funky decorations on the tree. Non-traditional holiday colors still create a festive mood by keeping the vibe warm and welcoming! Use a lime to wet the rim of your copper mug, then roll the edge in salt. Pour 1 ½ oz. tequila in, followed by ginger beer in until your mug is a little more than three quarters of the way full. Squeeze in a large wedge of lime to taste. Stir until well mixed, and add a lime for garnish. For anyone who loves the modern farmhouse trend, but wants to kick things up a notch for the holidays, this is for you. You probably like this style if you love to mix classic, tailored pieces with more casual accents. Casual comfort with refined elegance is your favorite! To put a fresh spin on that timeless farmhouse style, we mixed cozy textures and classic greenery with striking contrast and luxe finishes like lacquer and brass. Pour ½ oz. cognac (or another brandy) and 1 tsp. Grand Marnier into a champagne flute. Top off with champagne, then garnish with a lemon peel.